Atos dont give a toss! 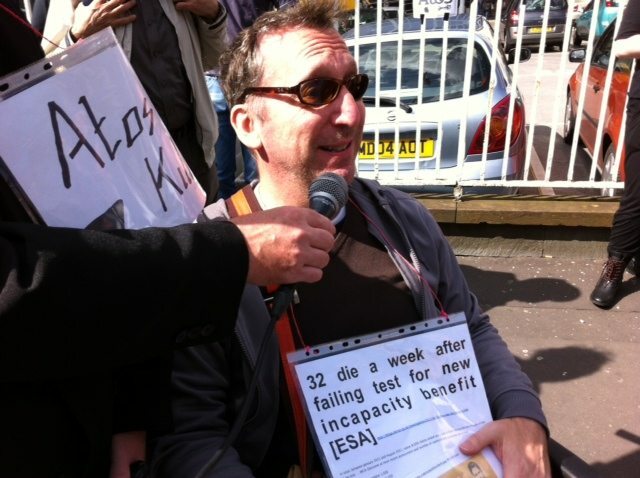 Today saw another demonstration by disability activists against Atos Origin. 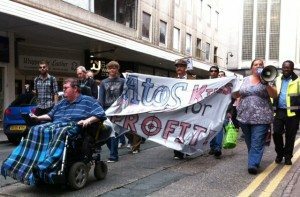 The company won a £300 million contract to re asses people on benefits which activists say is no more than cuts and are forcing many hundreds of thousands of genuinely sick and disabled people off benefits altogether. As one activist commented: Atos is a ‘professional healthcare’ company. 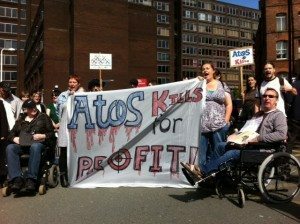 It’s motives are profit driven and they are more concerned with the health of their bank balance than that of the claimants. 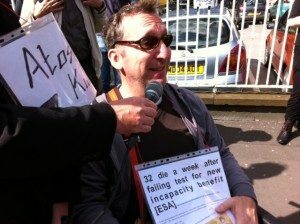 The testing is a tick box system and you don’t need any medical knowledge to tick a box. 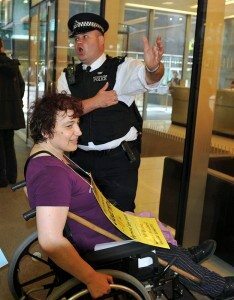 The use of such a private so-called ‘healthcare’ company is being used by the Coalition to give them some sort of unwarranted credibility to justify their despicable policies of attacking those who can least defend themselves. 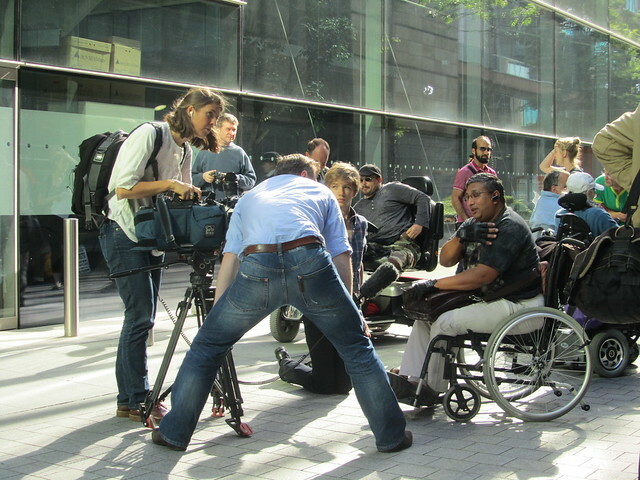 At one point tensions were raised when the police removed demonstrators from the entrance to the building.